Hunky Dory Dad Bunting Banner: 1.12 MB 2 page bunting banner, x1 letter of dad flags and x1 clip art flag. 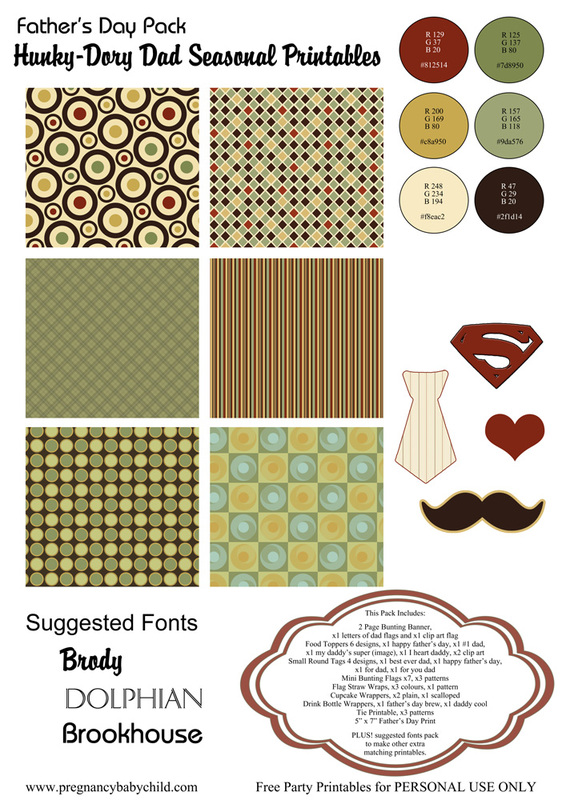 Hunky Dory Dad Toppers Tags and Flags: 536 KB Food Toppers 6 designs, x1 happy father’s day, x1 #1 dad, x1 my daddy’s super (image), x1 I heart daddy, x2 clip art. Small Round Tags 4 designs, x1 best ever dad, x1 happy father’s day, x1 for dad, x1 for you dad. Mini Bunting Flags x7, x3 patterns. Flag Straw Wraps, x3 colours, x1 pattern.